You can represent a two dimensional point as either a cartesian coordinate (X,Y) or a polar coordinate (r,theta). 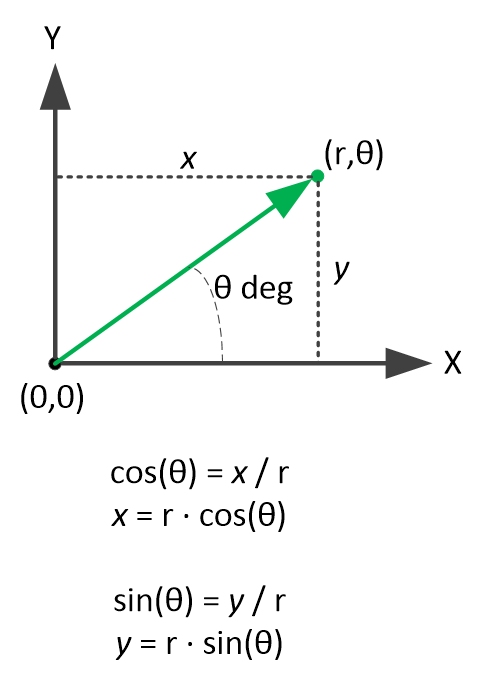 Conversions between these two coordinate systems are shown below. To convert from cartesian coordinates to polar, the following formula works, as long as the X value is positive.